Why the plight of the Spokane Tribe should be on our minds. My book, In Tune With America: Our History in Song, chronicles the plight of Native American tribes under the presidency of Andrew Jackson. Today, 163 years later, the plight of the Spokane Tribe of Indians should be on our minds. Both instances represent unfairness to Americans with a rich heritage of sacrifice in favor of U.S. growth and progress. President Andrew Jackson signed the Indian Removal Act of 1847, moving over 50,000 Cherokee from their ancestral homelands in parts of North Carolina, Georgia, Tennessee and Alabama to reservation lands in the newly-expanded U.S. It led to the infamous “Trail of Tears,” a 1,000-mile journey of sadness for thousands of displaced Indian families forcibly removed from their chosen ancestral lands to places designed for collective “warehousing.” It was a pivotal time in America’s treatment of Indian peoples, particularly for the Choctaw, Chickasaw, Creek, Seminole and Cherokee tribes, who were segregated in places not of their choosing and consigned to lives that would change little for generations. Yes, they were deemed “sovereign nations” within a sovereign nation, but diminished by the indignity of being herded to unfamiliar places and forced to adopt a restrictive, dependent way of life. It was a dark period in American history. When the Grand Coulee Dam was constructed in the 1930s, a West Coast version of Indian removal occurred that continues to this day. The Colville Confederated Tribes and the Spokane Tribe of Indians had ancestral rights to the rich salmon fishing grounds at the headwaters of the Grand Coulee and along the Spokane River. Not only were their tribal lands flooded when the dam was constructed, but their native way of life was changed forever as the progress of electric power overtook the region. In 1877, the U.S. negotiated an agreement with the Spokane Tribe to reserve for the Tribe a portion of its aboriginal lands constituting today’s boundaries of the Spokane Indian Reservation. In 1881, President Rutherford Hayes issued an Executive Order expressly including portions of the Spokane and Columbia rivers within the Spokane Indian Reservation, and a commitment was affirmed over the 50 years following the Grand Coulee’s construction and federalization for the Colville and Spokane Tribes to share in the benefits produced by the Dam. Bradley, Inouye and McCain all spoke in support of the continuing obligation of the United States to thereafter settle the Spokane Tribe’s claims. Representing our 5th Congressional District, which includes the Colville and Spokane Indian reservations, I introduced Congressional legislation to settle the Spokane Tribe’s claims through a combination of partial payments through the Bonneville Power Administration and the U.S. Treasury. (Full disclosure: I now represent the Spokane Tribe in its efforts to finally secure passage of the legislation.) In 2004, the Spokane Settlement Bill was passed by the U.S. Senate, but died in the House. In 2005, Representative Cathy McMorris Rodgers introduced and supported passage of settlement legislation in the House, but the bill died in the Senate. Today, the “Spokane Tribe of Indians of the Spokane Reservation Grand Coulee Dam Equitable Compensation Settlement Act” has been introduced in Congress under bill numbers S. 1388 and H.R. 3097. The Spokane Tribe has made numerous concessions in the current legislation to address previously stated concerns. The Tribe’s settlement has been supported by bipartisan interests throughout our state and region, including Governor Gregoire; members of Congress; Spokane Mayor Mary Verner; Lincoln, Grant and Stevens Counties; the Council of Governments; tribal organizations throughout the nation and many others. They support the settlement because it’s the right thing to do for the Spokane Tribe, morally and financially. Its relative cost impact on national and regional economics is miniscule. It is long overdue because the impact of the Grand Coulee Dam, while good for our region, continues to severely affect the lifestyle, traditions, economic well-being and culture of the Spokane Tribe and its proud members. Even in these times of difficult governance federally and locally, there is a fundamental and undeniable truth to the need to deal fairly and honorably with our earliest ancestors — the American Indian. The leaders of the Spokane Tribe have adopted the attitude that as patriotic Americans, they simply mean to equitably settle their long-standing claims for the consequences suffered by the tribe resulting from the construction and operation of a major power project begun a generation ago that has paved the way to regional progress in the Northwestern United States. In the process, their settlement will help the region’s economic outlook. Congressional action in the U.S. House and Senate before the year’s end will send a powerful message that fairness and honor in American policy toward Native American people is a national tradition worth preserving 163 years after its initial lapse toward our oldest Americans. 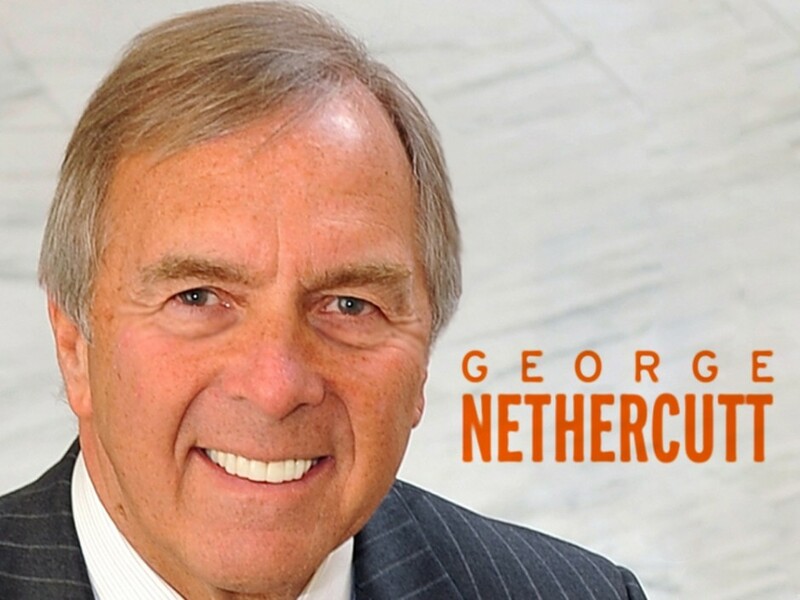 George Nethercutt is a former congressman who represented the 5th District of Washington from 1995-2005. He currently serves as counsel for Bluewater Strategies and the law firm of Lee & Hayes, of Spokane. He's also the chairman of Nethercutt Consulting LLC.